Misty is a rescued tiger that I met one afternoon at the small zoo in Folsom, California. At the time she was pacing back and forth, back and forth, and only had eyes on her next snack...a small boy standing in front of her enclosure. 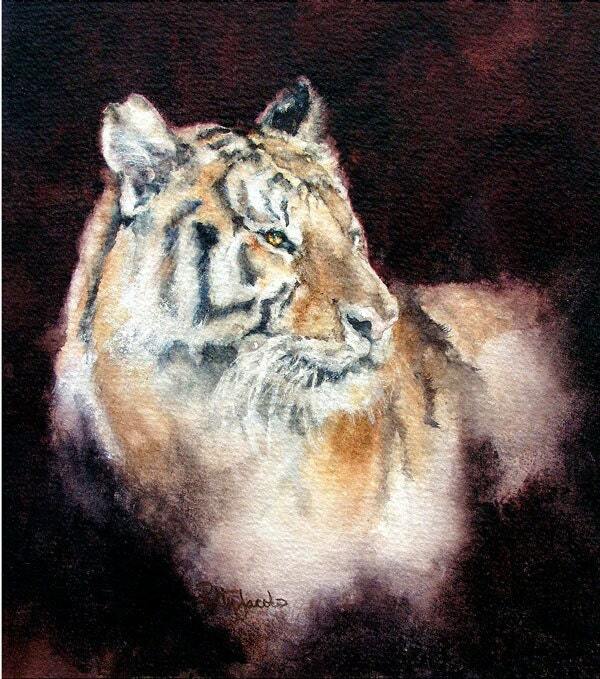 * Image Size; 9 x 77/8"
100% of the sale price will be donated to the Tiger Fund at the Folsom Zoo.